Nothing calms a rowdy kid down like a nice long bath. Whip up a batch of homemade bath tub paint, add a few bath toys, and watch them splash around. If a full bath isn’t possible, try filling up a sink with warm soapy water for scooping bubbles, or washing toy cars. 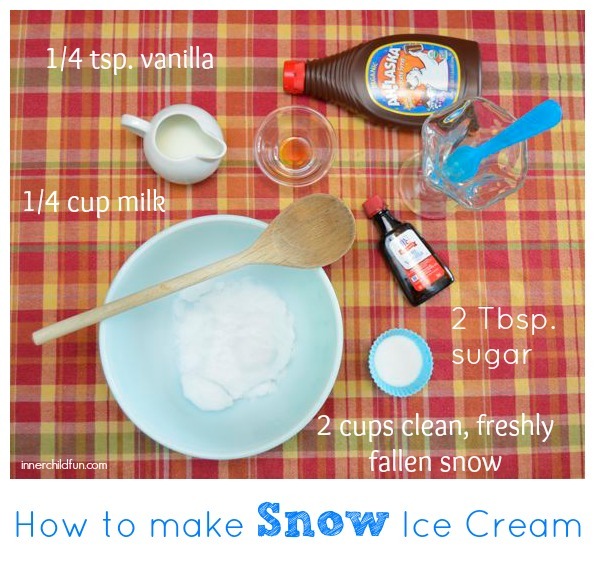 For a fun time this Winter, this snow ice cream recipe is so simple to do, and the kids will remember this treat for a long time! Crank up some of your favorite tunes and get the wiggles out! Try playing a few rounds of freeze dance! 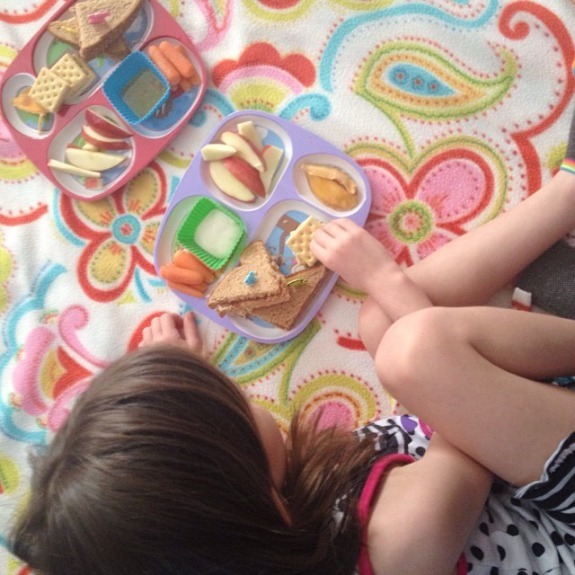 Make lunch or snack time even more special with an indoor picnic! This post has a great list of indoor picnic-friendly foods to try. Even now that my kids are 5 and 9 years old, they still enjoy playing with sensory bins and can be happily occupied with them for hours! I love that they are so simple to set up, and there are so many possibilities. For inspiring ideas to get started, click here to check out our Sensory Bins Pinterest Board! 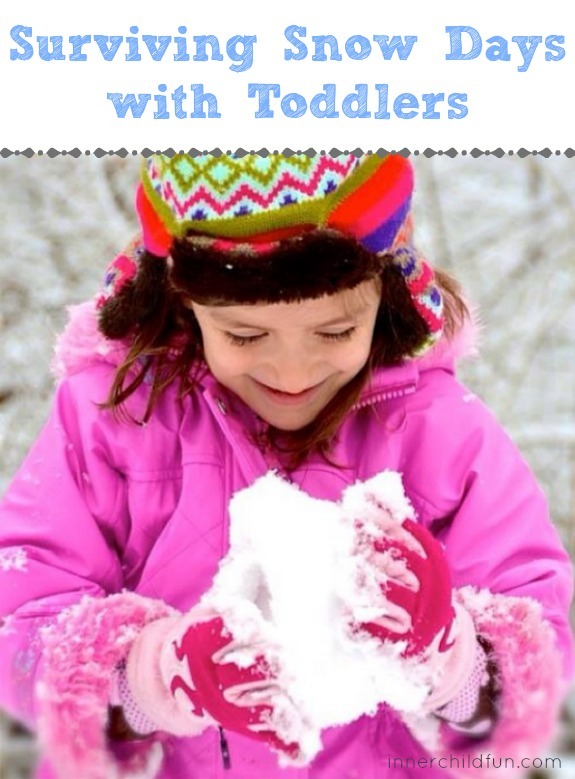 Great ideas for indoor snow day play. You could alternate those indoor play ideas with outdoor play ideas. I have a list of great outdoor play ideas for when its snowing.